You can access the full West Virginia Employment Law Manual (over 50 state-specific reference resources) and Employee Handbook templates (over 10 state-specific handbook policy templates) below, as well as view key state and municipal deadlines, additional state-specific resources and links to key municipal coverage. Updated to include forthcoming amendment to law regarding expungement of criminal records. Updated to reflect a forthcoming amendment to the overtime exemptions. Updated to reflect amendments to the annual reconciliation return and Form W-2 filing requirements, effective January 1, 2019. Does This Law Apply to My Organization in West Virginia? Enhanced to link users to the most comprehensive coverage of each law and to improve the organization and scope. Enhanced to improve the comprehensiveness, organization and topics covered of state employment laws. Updated to include law regarding firearms in the workplace, effective June 8, 2018. 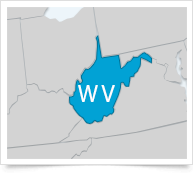 A round-up of the comprehensive state coverage XpertHR offers to help West Virginia employers ensure they are compliant with state HR and employment laws.